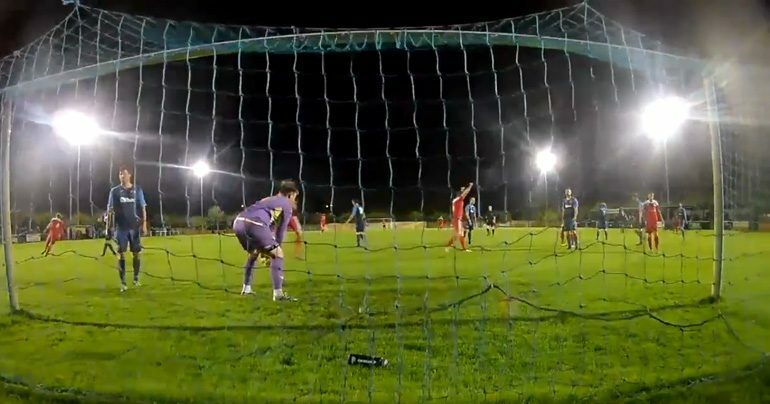 Newton Aycliffe went out of the League Cup at the quarter-final stage with an injury-time sucker-punch at home to Whitley Bay on Tuesday night. The entertaining tie could have gone either way, but it was the Seahorses who took it when they converted an injury time penalty. Aycliffe striker Jermaine Metz got a low shot away in the 5th minute, but it went the post. On 11 minutes, Bay had a good chance when a low cross was put into the six yard box, but the Aycliffe defence somehow kept it out. On 20 minutes, Ethan Wood put a free kick over the bar from a good position, and three minutes later Metz put another shot wide of the post. Salmon put a shot just wide for Bay, and then they made the breakthrough on 31 minutes. A poor clearance led to the ball being crossed back in, and Ardelean made no mistake with his low shot. Bay had the ball in the net again two minutes later, but the effort was ruled out for offside. In first time injury time Logan in the Bay goal saved a Metz shot with his legs to ensure that his side went in at the break 1-0 up. The pattern of both sides trading shots continued in the second half. Aycliffe had the better of the play, with man-of-the match Marc Costello having a good game in midfield. They got back on level terms in the 63rd minute when Metz equalised, pulling down a cross and beating his man before firing past Logan. Aycliffe were unlucky not to ahead when a free-kick narrowly missed the goal. Warren Byrne then had a couple of good efforts near the end as Aycliffe did all the pressing. In the 91st minute Ali Alshabeeb hit a good shot just wide. It looked like the match would go to penalties, but Bay won it at the death, when McFarlane converted a penalty. Aycliffe now have eight league games remaining of the 2018-19 campaign, with a trip to fifth-placed Stockton Town on Saturday.